Shreyas Iyer led Delhi Capitals won the toss against Kings XI Punjab and decided to bowl first. In reply, Kings XI Punjab scored 166-9 in 20 overs. As Chris Gayle was missing from Punjab’s playing XI, KL Rahul and Sam Curran opened the batting. Rahul was looking good before he was dismissed by Chris Morris for 15 runs. Sam Curran decided to up the ante as he scored 20 off 10 before he was bowled lbw by Sandeep Lamichhane. Mayank Agarwal came in and became victim of an unfortunate run-out by Shikhar Dhawan. Sarfaraz Khan and David Miller notched up a 50 run partnership before Sarfaraz was dismissed Sandeep Lamichhane for 29-ball 39. David Miller tried to launch himself but he was dismissed by Chris Morris for 43 off 30 as Rishabh Pant caught him behind the stumps. Hardus Viljoen came in and was dismissed by Kagiso Rabada for just 1 run as Chris Morris caught him at mid-wicket. Ravichandran Ashwin was dismissed by Chris Morris for just 3 runs, while Murugan Ashwin was dismissed by Kagiso Rabada for 1. Mohammed Shami was run-out by Rabada after a mix-up with Mandeep Singh. Mandeep stayed unbeaten at 29 off 21 balls. 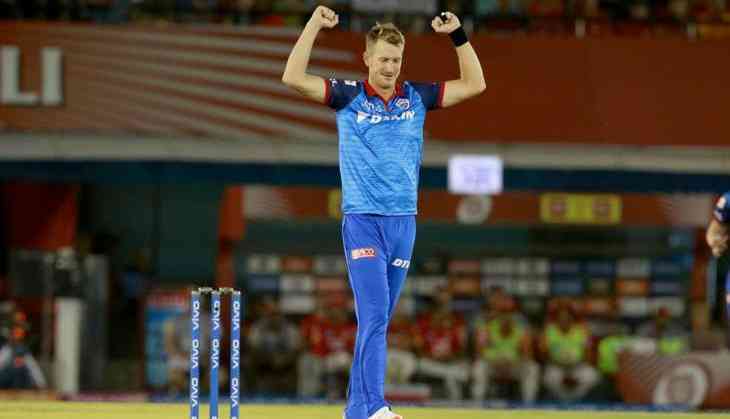 Chris Morris was the highest wicket taker for Delhi as he scalped 3 in his four overs, while Kagiso Rabada and Sandeep Lamichhane took two each. Neha Kakkar is now becoming a sensation on TikTok and here's the proof! READ NEXT >> Neha Kakkar is now becoming a sensation on TikTok and here's the proof!